The 2018 hurricane season is about to begin, even as we’re still processing 2017’s hurricane season that brought three large storms — Harvey, Maria and Irma. Hurricane Harvey alone dumped 24 to 34 trillion gallons of rainwater on Houston and surrounding areas, affecting over 13 million people and resulting in nearly $125 billion in damages. According to NPR, Houston and the surrounding areas were by no means prepared to handle Hurricane Harvey’s heavy rainfall without significant flooding. Not only was Houston a flat landscape with major infrastructure problems, but builders weren’t required to use flood mitigation techniques (like retention ponds) due to a lacking of zoning codes. However, extreme weather conditions are not the only cause of severe water damage. Water damage also occurs when legacy systems are no longer sufficient to handle the increasingly massive amounts of water they have to manage. Our ability to mitigate this problem will require a number of different strategies, but it is quickly becoming clear that IoT may be one important pillar of the fight to combat water damage. 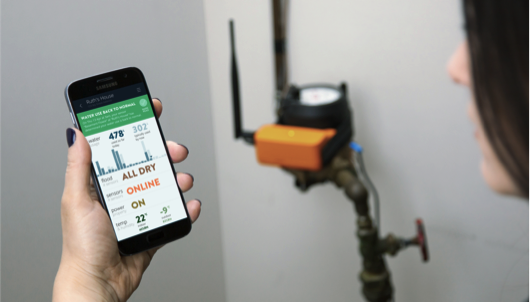 The internet of things gives us opportunities to more intelligently control the flow of water, reduce water damage and manage the quality of water by taking sensors and control systems that have been around for a long time and bringing them online. While there are a number of different ways this can work, we have found three primary ways companies are bringing sensors and systems online to combat water damage. Most cities don’t have the proper infrastructure to combat the environmental damage that occurs from flood damages, storm surges and more. Even after the initial impacts of hurricane flooding, leftover flood water leaves a host of health problems for city residents. For instance, stormwater runoff is often contaminated with sewage and chemicals that can leave extremely negative impacts on residents and the environment. In fact, stormwater runoff is the leading cause of water pollution in the United States, with 860 billion gallons of sewage and other pollutants flowing into our water supplies each year. This isn’t the only problem with stormwater runoff. As cities grow, so do sidewalks, roads, parking lots and other form of concrete that create impervious surfaces that resist water absorption. 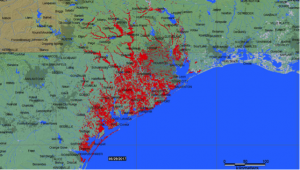 With fewer places for the water to be passively absorbed, the greater the likelihood of flooding. Fortunately, companies like Opti have developed ways to combat inadequate water management infrastructure with IoT. Opti’s drainage system was designed to protect municipal infrastructures of cities that are hit by storms year after year. 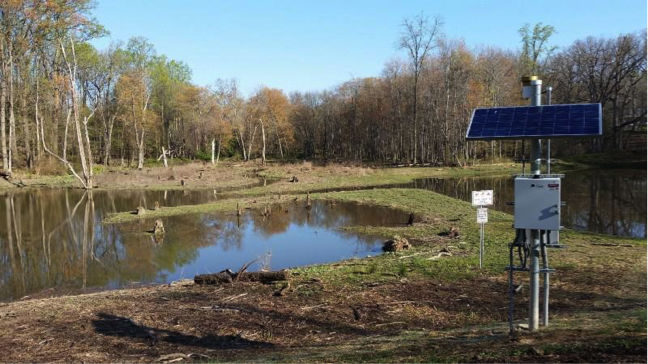 When these systems are installed throughout a city, they will monitor weather forecasts and control drainage valves to minimize flooding and environmentally hazardous runoff. One of the most common forms of water damage for homeowners and businesses is water leaking from appliances and plumbing. Water damage is the second-most filed insurance claim in the United States, and the average homeowner spends on average $2,586 repairing water damage. While homeowners can typically prevent this water damage with annual inspections, it can cost up to $2,000 per year. However, an IoT sensor can monitor water systems and issue automated alerts the moment something goes wrong. One of the most significant challenges of water management is protecting water from contamination due to urban, industrial and agricultural hazards. With rapid urbanization, this will become a harder issue to tackle as water resources become more and more stressed. According to the World Health Organization, 70% of the world’s population will be living in water-stressed areas by 2025. Today, that means we must reduce water consumption habits and maximize efficient use of our available resources. Improving the quality of water starts with monitoring the quality of water, and the internet of things provides an opportunity for municipalities, businesses and consumers to keep track of their water quality and safety with IoT sensors. For instance, Saltco manages water quality by selling homeowners smart water sensors. There are some homeowners that need salt pumped into their water systems in order to prevent calcium, magnesium buildup and more. However, consumers often forget to buy salt for their systems because it’s not something that can be monitored easily. 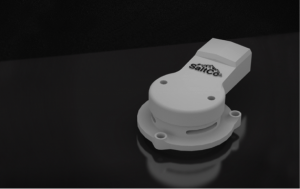 Saltco’s sensors take care of this issue by automatically notifying delivery specialists when salt levels are too low, which takes the hassle away from homeowners. This is one of the many ways in which the internet of things is helping people protect the quality of their water in a transparent way. Water is one of our most precious natural resources, but it can also be one of the world’s most destructive forces. With IoT, we can more intelligently control the flow of water, reduce water damage and manage the quality of water by taking outdated sensors and systems and bringing them online. The more connected our water systems, the smarter we become about how to use that water safely and efficiently.